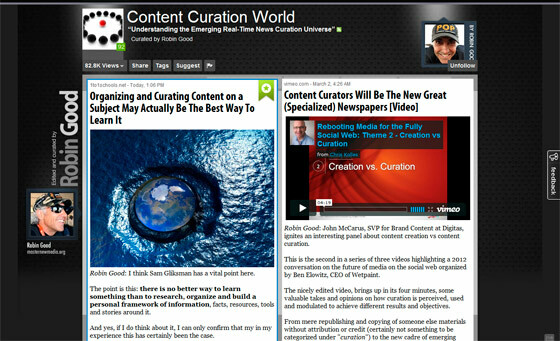 How to do Content Marketing "Without" Content - Be a Curator! How to do Content Marketing “Without” Content – Be a Curator! Fact #1: You don’t need to be a content producer to market with content. Fact #2: Not all curators work in museums and have elbow patches. Now, before you fire up the rotten tomatoes, let me explain. As a writer and blogger I value content creation, but I’m the first to admit that you can get the benefits of content marketing without creating all the content yourself. In fact, sometimes you don’t need to create any content at all. Before I prove my case, let’s have a quick recap of some of the benefits of content marketing [Infographic]. None of this is probably a surprise to you, but nowhere does it say that you have to be the one to generate all the content yourself. If you happen to be in the business of research, then you may have an endless stream of statistics at your disposal (like Hubspot seems to), but if you’re not, you can still create authority and gain all the benefits listed above by using content other people have generated. I’m talking about content curation – here are some ideas. Marketers with a strong presence on Twitter already know how this works. There are dozens of Twitter curation tools out there, which you can use as a platform for making your Twitter profile and by extension your website and business, a destination and magnet for potential customers. Examples include Summify (scheduled for retirement but still working for existing users), News.Me, Feedera – the list goes on. Most of these allow you to create summaries from your tweets, your favourited tweets, from Twitter lists or particular users you follow. These are then available both by email and via a public page which you can use in your marketing. The secret to doing this well is no secret: share good stuff and tell people about it. My recommendation for curating Twitter content, though, is Twylah, because it works with your tweets only and creates an attractive Twitter landing page, complete with images and video. 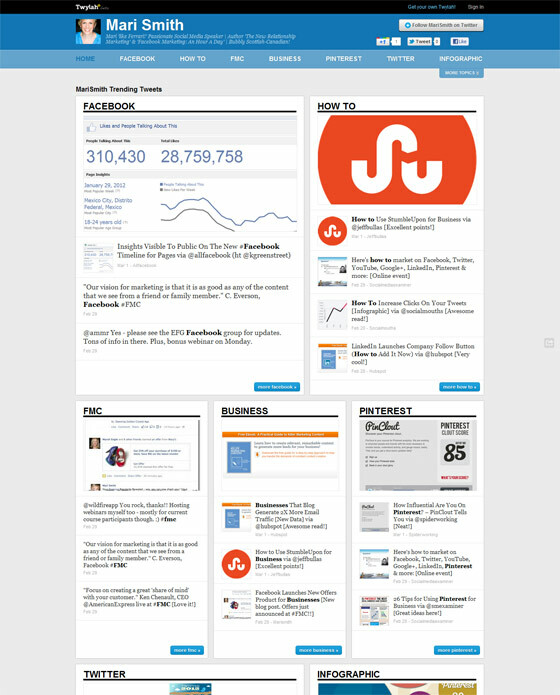 This is divided into the 10 topics you tweet about most and you can manage what is displayed on the backend of the Website. Because it also allows corporate branding and has been rolling out analytics, using this to enhance the authority of your Twitter stream is a no brainer. Link to it from your site, include it in your mailouts and you have an authoritative content source that’s ready to go from an activity that you’re already doing anyway. If you’re more of a Facebook marketer, then the best tool for you to use is Paper.li. Set up a “newspaper,” link it to your Facebook profile and target particular keywords and Paper.li will begin to produce an attractive daily or weekly newspaper that you can share on your site and via social media channels. Some papers have thousands of readers, so don’t write this off as a weak gimmick. Here’s a guide from Paper.li on making a great paper. If you are already active on Facebook, using Paper.li gives people one more reason to treat you as a resource and your site as a destination. But what if you want to build your authority even more? 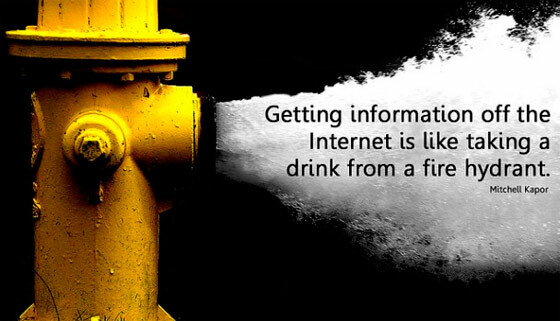 One option some people are using is creating an information digest from multiple sources using Scoop.it. Not only does this tool allow you to collate information from virtually anywhere on the web as you go, but it also allows you to share it simultaneously (and selectively) to multiple social media channels. 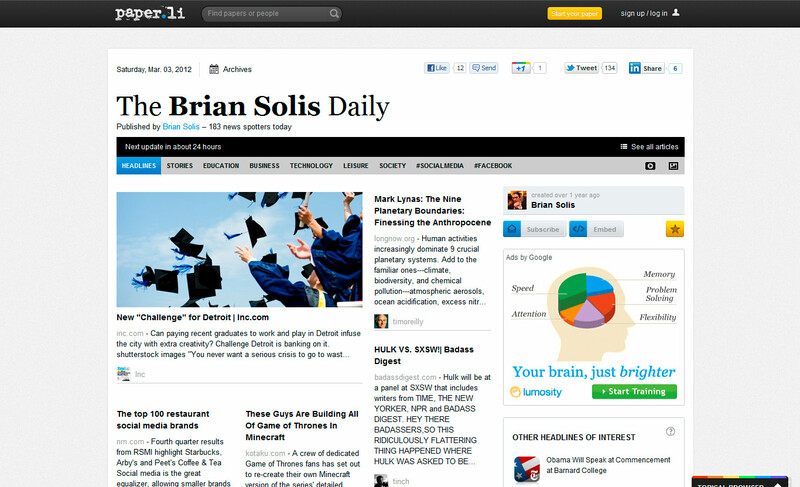 If you’re already browsing the most useful and relevant sites for your niche, then this can make your job much easier. And by giving your digest the same branding as your site, you create brand awareness and build trust when you share the digest as a whole. Marketing a retail business? Then you need to be on Pinterest. Like most social sites, Pinterest is about showing your personality in the boards you create, the items you pin and the comments you make, but you can also use the products and services you offer to create pinnable boards that people will want to follow. If your business is online marketing, then pin some infographics; if it’s home decor, then great room layouts are bound to find favor with other pinners. 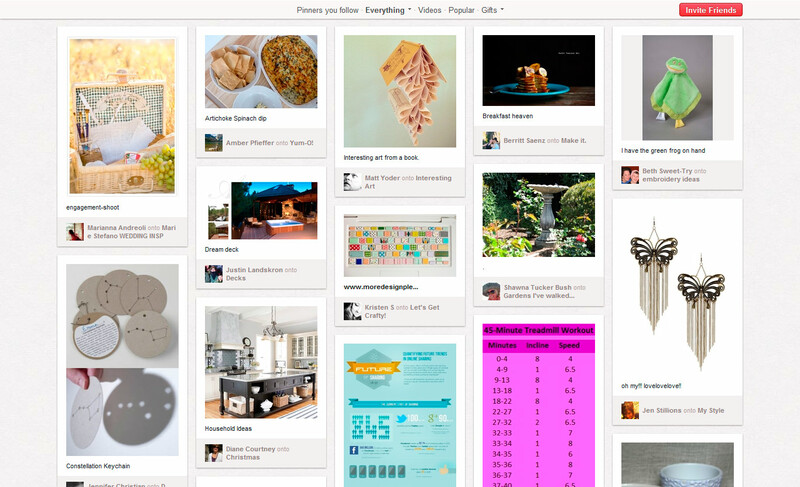 It only takes a little imagination to begin content marketing with Pinterest, so get it while it’s hot! As you can see, it’s just as easy to curate and comment on others’ content as to create it yourself. To get even more from the strategy, a little bit of originality won’t hurt, but it doesn’t have to be yours. Spend a bit of time playing with these free infographic tools to create something memorable and shareable or pick out some interesting facts and get your graphic design team to jazz them up. Even better, outsource content creation tasks to designers and ghostwriters who will create attractive infographics, white papers and blog posts that you can use to market your business without lifting a finger. As I said at the start, you don’t need to create content yourself to market with it. Instead, you can be like a magazine editor or publisher: collating the information that’s out there, distilling it, commenting on it and putting it all together in an easily accessible and digestible form. That’s how your online presence will build authority and trust and that’s why readers will keep coming to you.